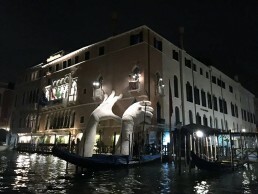 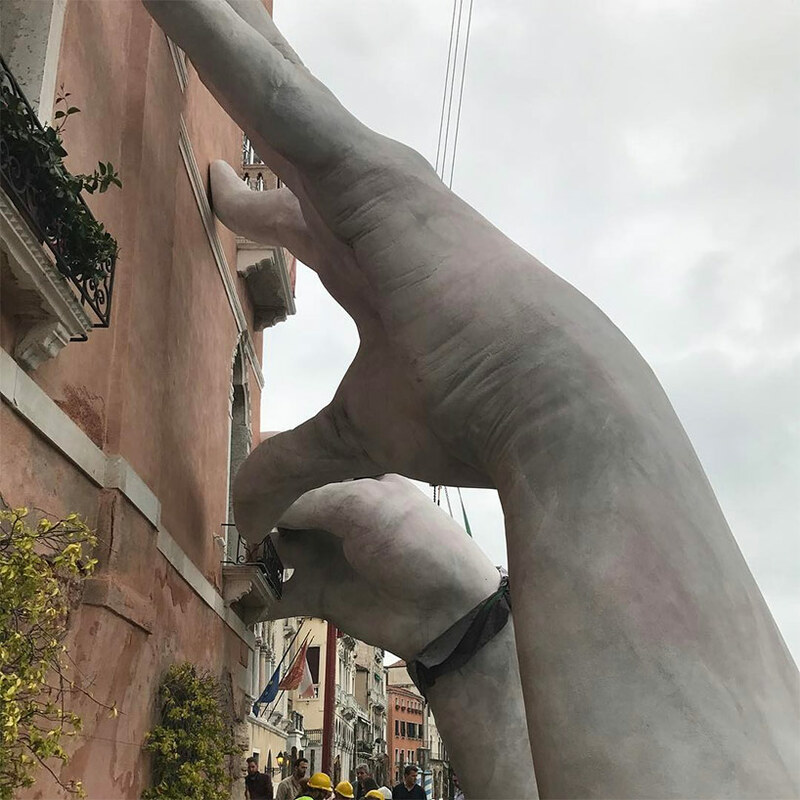 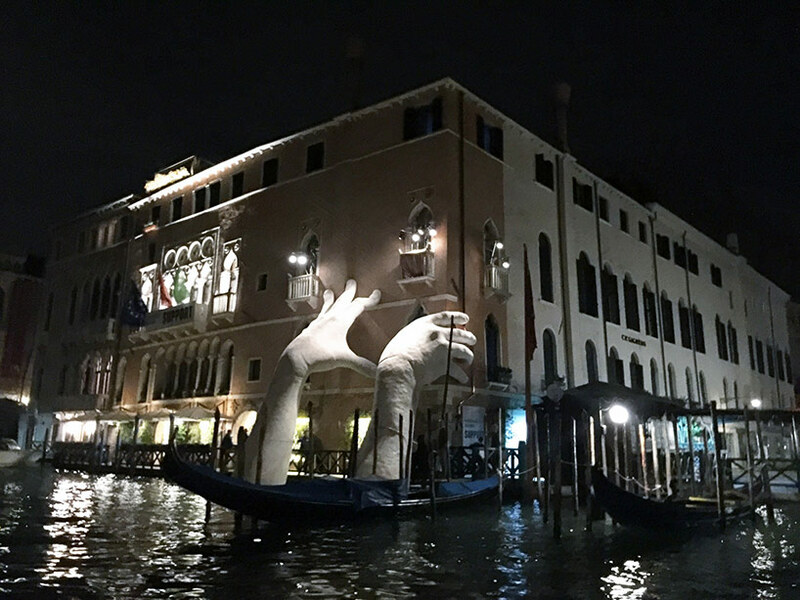 Outside the Ca’ Sagredo Hotel in Venice, Italian artist Lorenzo Quinn‘s support sculpture features two large hands emerging from the Grand Canal for the Venice Art Biennale 2017. 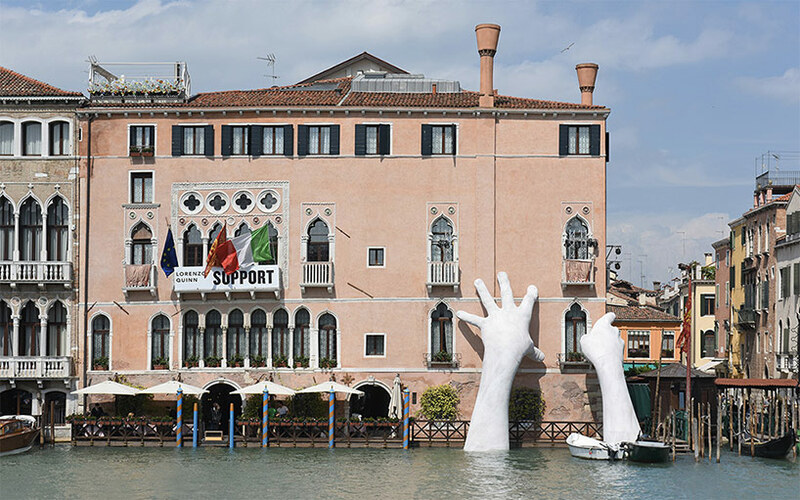 Represented by the Halcyon Gallery, the massive sculpture aims to make a statement on the effects of global warming. 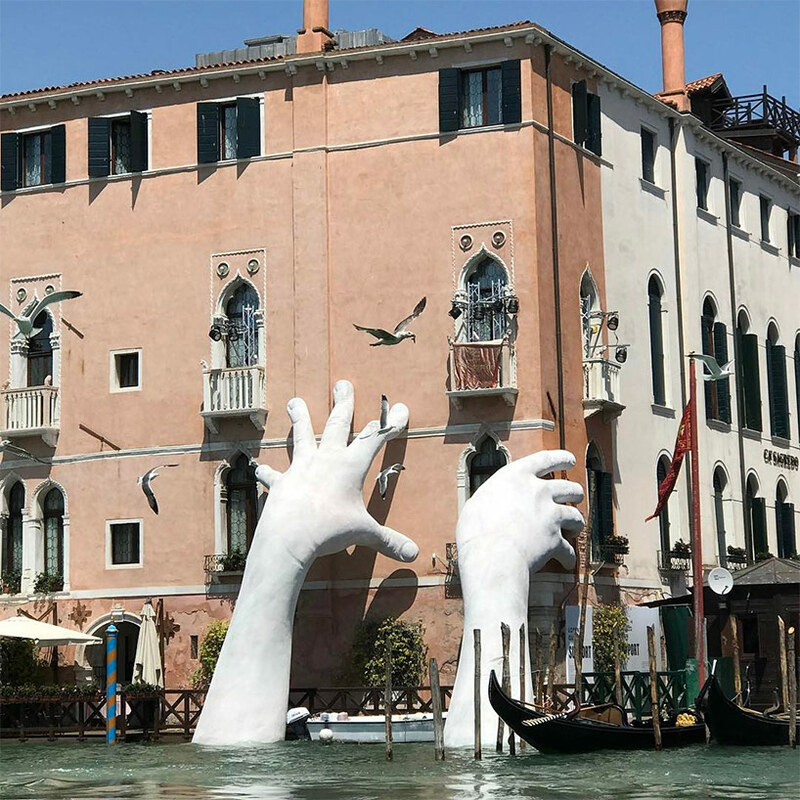 Quinn, known to use body parts, and especially hands in his sculptures — uses the gigantic limbs as a force of nature that braces the canal-side structure, both reinforcing it in the face of decay while at the same time suggesting a force of nature equally capable of destroying it. 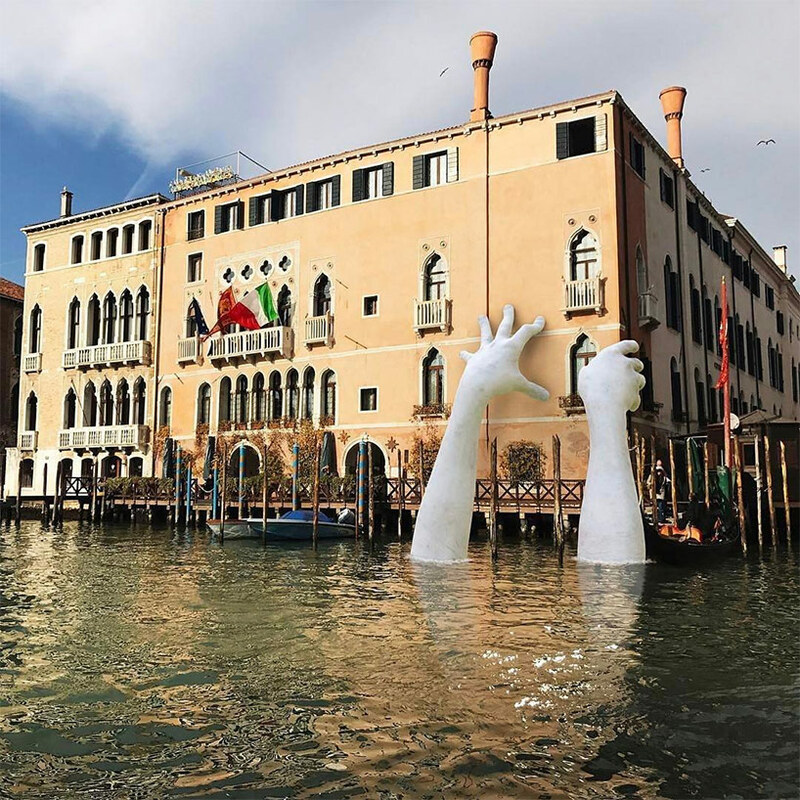 The commentary exposes the fragility of our built and natural environment and its susceptibility to the forces of nature and man. 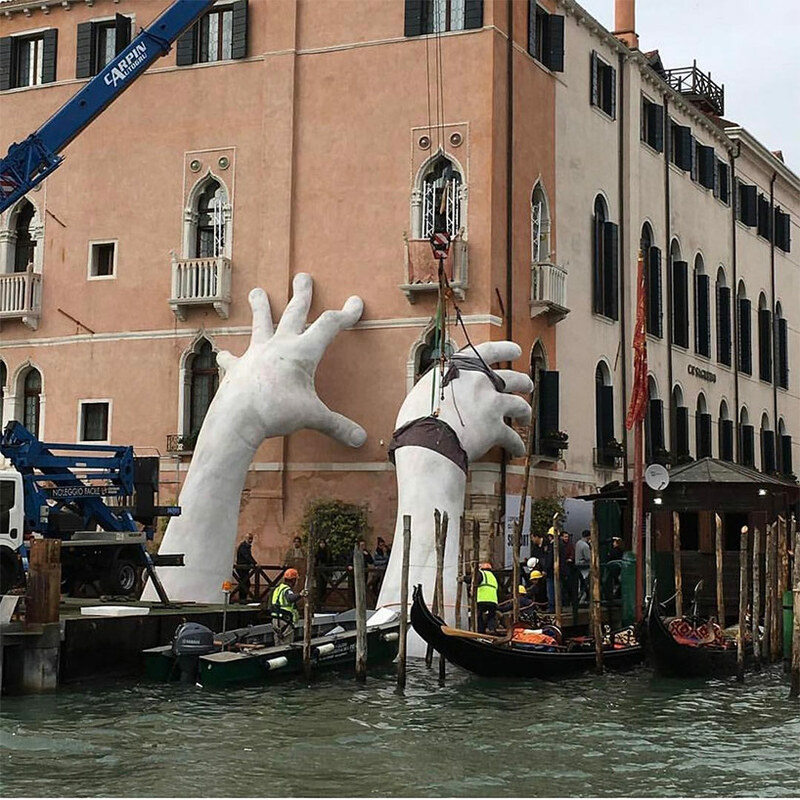 The hands were fabricated at a studio off-site, posing a logistical challenge to transport them into place. 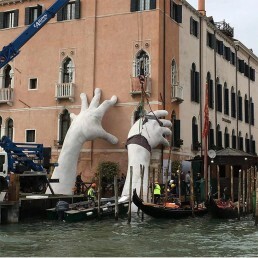 Loaded onto a canal boat, the pieces were carried down the Grand Canal to the location, to be lifted and dropped into place. 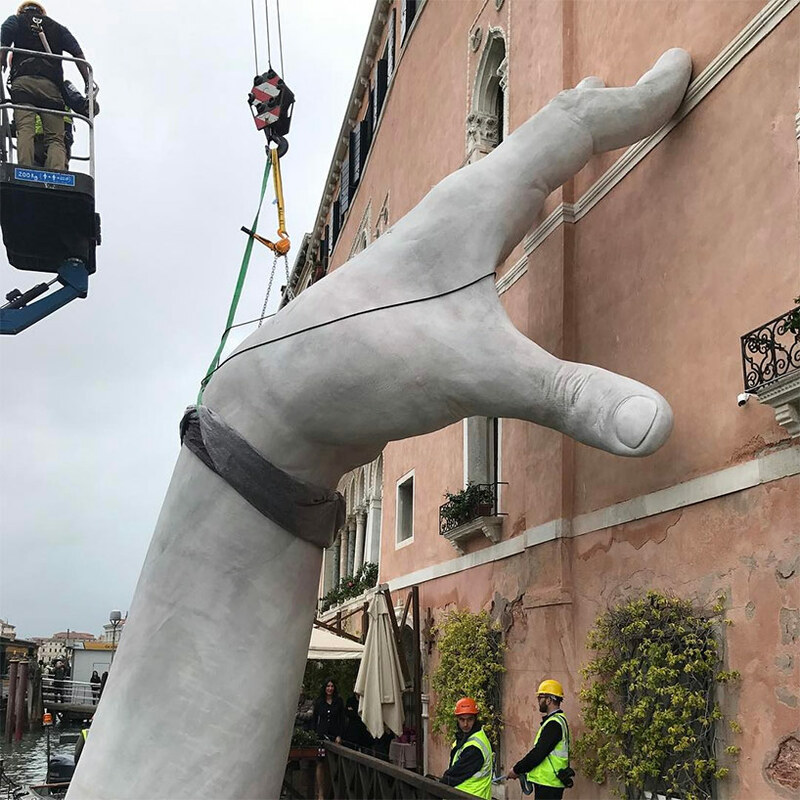 ‘I wanted to sculpt what is considered the hardest and most technically challenging part of the human body”, says Lorenzo. 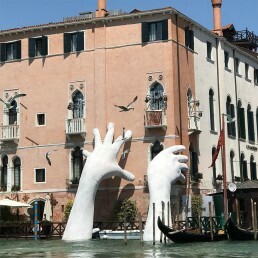 “The hand holds so much power – the power to love, to hate, to create, to destroy. 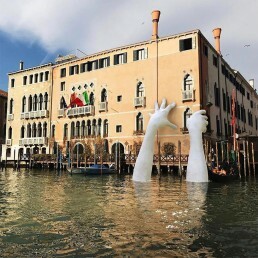 Venice is a floating art city that has inspired cultures for centuries, but to continue to do so it needs the support of our generation and future ones, because it is threatened by climate change and time decay”– Lorenzo Quinn.